Jesus Christ, the embodiment of God's Shalom, invites all people to come and receive divine peace in the midst of the difficult questions and struggles of life. do you meet for church? can I expect in the service? Expect variety! One thing that we love about our congregation is that our services are planned by volunteers, and those volunteer can change from week to week. Some are more traditional. While some are contemporary. Expect variety, and expect to experience the Holy Spirit in many different ways. The presider, or the person responsible for organising and overseeing that week’s worship service, will welcome those in attendance. During this time, attendees are given the opportunity to talk about noteworthy events in their lives, request prayers, or alert the congregation to opportunities for service and fellowship in the community. A prayer may be offered. The congregation will sing two to four hymns at each worship service. Most of these hymns will come from our most recent hymn book, Community of Christ Sings! At times, hymns or worship music from other sources will be used. In these instances, words will be provided. The Call to Worship is an opportunity to center the mind and prepare for the worship service. It invites us to settle into this sacred space. This may include a special hymn, a call and response, a meditative question, or a scripture reading. A standard worship service will include a number of prayers, including Invocations, Benedictions, prayers of supplication, and occasionally administration through the laying on of hands for healing or comfort. Each week tithes and offerings are collected during the service. In addition to a collection for the general operating funds of the church, certain offerings may be requested for special projects or a specific missional goal. Patrons are invited to specify which projects or mission initiatives they wish to financially support by indicating their prefences on their offering envelope. Programmatically, the Disciples Generous Response may include a reading of scripture, sharing of a story, or a video about various projects conducted at the congregation, mission, or world church level. A collection basket is passed around the congregation to collect these funds. The sermon or message is the time in the service where we explore the theme more deeply and discover its connection to our lives. Sermons are assigned on a volunteer basis and given by mostly priesthood members, though all are invited to participate in ministry. does our communion service look like? Communion Sunday (also referred to as The Lord's Supper, Sacrament Service, Eucharist, etc.) takes place on the first Sunday of every month. Community of Christ congregations worldwide regularly celebrate the Lord’s Supper as an opportunity to reflect on the life, teachings, death, and resurrection of Jesus. It is also a chance to recommit ourselves to following him. During communion, ordained ministers of the church serve bread and grape juice as symbols of Jesus’ body and blood. Camping has historically been an important part of our faith tradition. From the early days of revivals in the American frontier to today, Community of Christ offers spiritual camps and retreats for all ages - including families.  Each summer, members and friends of Community of Christ across Oklahoma gather at our campground, Saint's Grove, for Junior Camp, Junior High Camp, Senior High Camp, and Family Camp (also referred to as Reunion). Other retreats are offered throughout the year, such as the Mission Center Conference, Women's Retreat, Youth Retreat, and Young Adult Retreats. Dress on Sunday leans towards business casual; however, you will find people dressed in their Sunday best and others in blue jeans, a t-shirt, and flip flops. Wear whatever makes you feel most comfortable. Come as you are! Worship services typically run for approximately one hour, from 11 a.m. - Noon. Some programmatic elements may shorten or lengthen the service by +/- 15 minutes. is this a child friendly congregation? Yes! Children are an important part of the Edmond congregation. We cherish the ministry shared by persons of all ages, and this includes our children. You will find children participating in worship services through prayer, music, testimony, and focus moments. Children are always welcome in both Sunday School and our 11:00 a.m. worship service. ​© 2017 Edmond Community of Christ.